(Independence, IA) – On Friday, December 4th, the community of Independence kicked off the holiday season in full force with the annual Christmas tree lighting, window walk, Santa and Frosty, and many one-time-only sales offered by several Independence merchants. At 5:30, the community Christmas tree, located at the downtown square of 1st Street and Highway 150, was lit with the help of Mayor Bonita Davis, along with many observers. Immediately following, participants were invited to stroll downtown to view 13 creative window decorations and live displays offered by several Independence businesses. Viewers were encouraged to view all windows and vote on their favorites while enjoying hot chocolate, cookies, and s’mores. 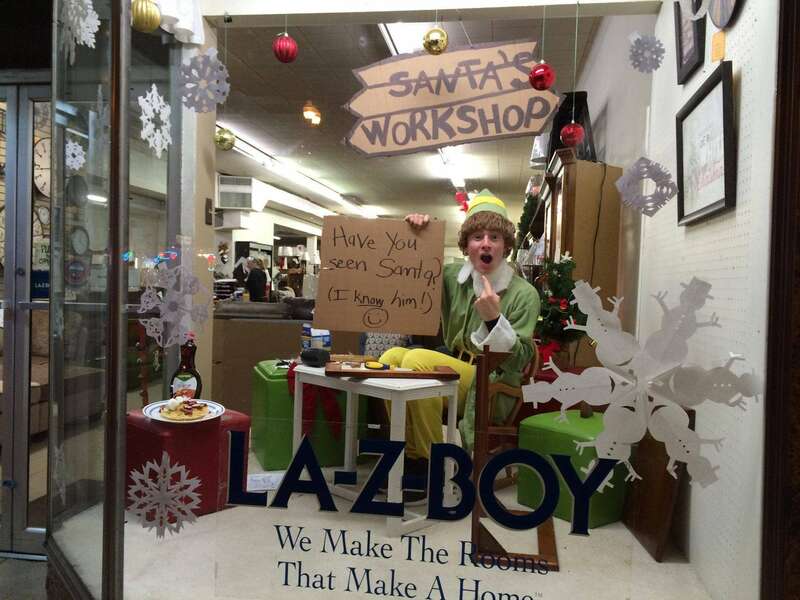 People’s Choice was awarded to Adams Family Furniture, as their live display of Buddy the Elf was a huge hit. 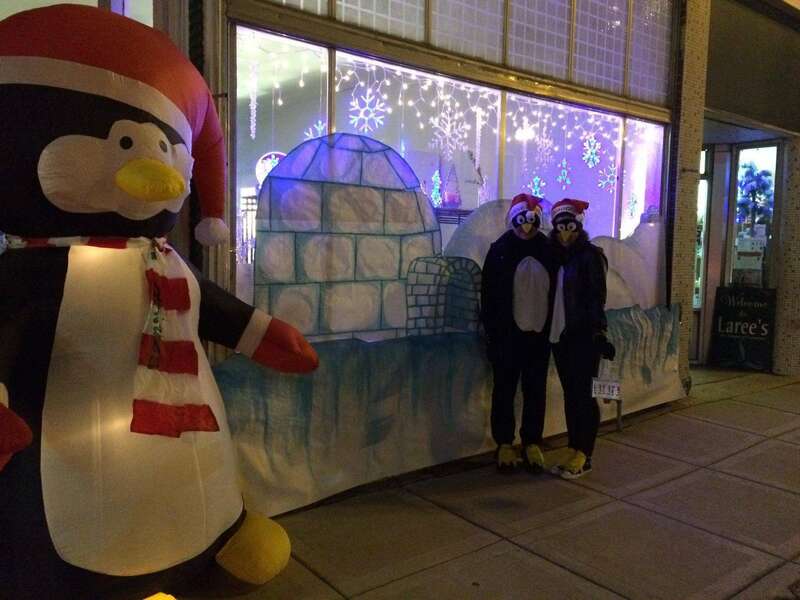 The Secret Santa’s vote was awarded to Laree’s Shoppe of Favorites for their live display of “penguins”.